Stephanie Andruss, Regional Vice President, Retail Banking, Merrimack County Savings Bank. Stephanie Andruss has been promoted to Regional Vice President at Merrimack County Savings Bank (the Merrimack). In this role, she will oversee the Bank’s branch offices in Bow, Hooksett, Nashua and 1 Integra Drive in Concord. This is a new role that was created to ensure the organization continues to offer the best service and products available to banking customers as it grows. Andruss joined the Merrimack in 2009 as Branch Manager of its Bow office, where she was quickly promoted to Assistant Vice President. 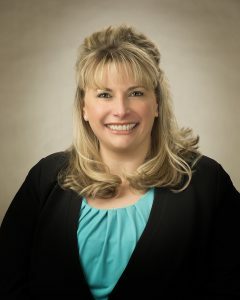 In 2015 and 2017 she was chosen to oversee the Merrimack’s Hooksett locations at the I-93 N Welcome Center and Londonderry Turnpike respectively, as the Bank expanded its reach into the region. Andruss serves as Treasurer of the Hooksett Chamber of Commerce and is an active member of the Hooksett Kiwanis. Previously, she was a board-member of Green Concord and the Advisory Council for Bow Schools. Andruss is a graduate of New Hampshire Technical Institute, the Northern New England School of Banking and was a member of Leadership Academy at New Hampshire Mutual Bancorp, Class of 2017.